On September 9, 1850, the date of California’s admission to the Union, the new state became trustee of the navigable waters of the state as an incident of its sovereignty. Later by means of grants of lands from the federal government for reclamation, support of public schools and other public improvements California acquired additional lands that would eventually total more than 8,000,000 acres. The Surveyor General was a Constitutional officer elected by the voters of the state until the office was eliminated by Chapter 516, Statutes of 1929. The duties of the Surveyor General where transferred to the Division of State Lands in the new Department of Finance. In 1938, all responsibilities of the former office of the Surveyor General, and which from 1929 to 1938 were held by the Department of Finance, were transferred to a new independent agency – the California State Lands Commission. To deliver to the Governor annually his reports here. Charles J. Whiting was born in Massachusetts and graduated from the United States Military Academy at West Point in 1835. After graduation, he served as a Second Lieutenant in the 2nd U. S. Artillery. He resigned in 1836, and spent time in Mississippi, surveying the delta of the Mississippi River, and as an Assistant Surveyor on the boundary between the United States and Mexico. He came to California, and on December 22, 1849, the State Legislature appointed Charles Whiting Surveyor General over a field of three other candidates. Whiting was the only appointed Surveyor General; all of his successors were elected to office. The Legislature did not authorize procurement of furniture and supplies for Whiting’s office until two days after his appointment, and did not outline the duties of the Surveyor General until January 19, 1850. The statute that defined his duties was passed on April 17, 1850. According to State Controller records, Mr. Whiting was paid $20.56 per day. From 1854 -1855, Whiting served as a railroad construction engineer with the Sacramento Valley Railroad Company. He reinstated March 3, 1855, as Captain, 2nd U.S. Cavalry. His assignments included: Captain, 5th U.S. Cavalry; Major, 2nd U.S. Cavalry (1862), commanding 1st Brigade, Pleasnton’s Cavalry Division, Army of the Potomac. He rose to the rank of Lieutenant Colonel and mustered out of service in 1871. Whiting died in 1890, and is buried in Castine, Maine. In November 1849, Eddy was appointed City Surveyor of San Francisco, and in December 1849, he was nominated to the office of State Surveyor General, although he lost the election to Charles J. Whiting by one vote. A few days later, however, Eddy was elected City Surveyor in the first charter election of San Francisco. In 1851 Eddy was elected State Surveyor General of California. Between 1850 and 1852, Eddy and his staff surveyed numerous city and private locations, and the majority of early maps of San Francisco were based upon Eddy’s various surveys. While Eddy was extremely active as a surveyor both in San Francisco and as California’s Surveyor General, there is some question as to the accuracy of his work. This may be partially explained by poor instruments and inattention to detail. Although facts regarding Eddy’s education or background could not be ascertained, it is fairly certain that not only was he an experienced surveyor, but had some education in engineering as well. Following his term of office, Eddy returned to San Francisco, where he died on March 10, 1854. In 1852, Marlette was elected County Surveyor of Calaveras County and in September, 1853, was elected Surveyor General of California, an office he assumed in January of 1854. In February, 1854, as previously mentioned the capitol of California was removed from Benicia to its final location in Sacramento. Marlette was perhaps the best educated, most responsible, efficient and public-spirited of the early Surveyors General, and several noteworthy tasks were accomplished under his supervision. In addition to his extensive work and effort to complete the survey for the Emigrant Wagon Road, Marlette understood and called attention to the inaccuracies of the State map produced by Eddy. Further, he took active steps to correct the errors by vigorously collecting all the newest and most recent government maps and surveys, and by employing a professional draftsman to reduce copy inaccuracies. Although a second State map was not produced during his term, Marlette’s efforts indicated the major defects of the first map and provided for improved accuracy in production of the second. Of all the early Surveyors General, Marlette was perhaps the best qualified by virtue of his education and experience in the engineering field. After earning a B.S. in Civil Engineering from Renssalaer University, Marlette worked for some years as a civil engineer for the New York and Erie Railroads, and did not leave their service until 1849. Seneca Hunt Marlette was born January 18, 1824, in Syracuse, New York and died August 24, 1911, in Glendale, California, at the age of 87. In 1856, Brewster was elected Surveyor General of the State of California. Apart from Brewster’s reports concerning his reconnaissance of the Downieville and Calaveras routes to Carson Valley, Brewster apparently did not actually engage in any surveying activities. However, he maintained many of Marlette’s procedures used in dealing with County officials and as a result, the information regarding statistics of the State are the most complete to that time. Brewster also supported Marlette’s negative view of Eddy’s state map, and further enlarged the reliable map collection begun by Marlette. There is little evidence of the manner in which Brewster spent the early years of his life. Nothing is known about his background or education, although it is possible, from later actions, to speculate that he had some experience as an engineer. Following his term as Surveyor General, Brewster returned to Buffalo, New York and married Julia E. Kaene on November 1, 1858. They returned to California and settled in either Stockton or Santa Rosa. Although the sources vary on that point, it is clear that Brewster did reside in Sonoma County for some years before his death. Horace A. Higley was born in Pensacola, Florida in May, 1828. Higley remained on the east coast until 1849, when news of the California gold strike apparently reached him and he determined to join the western exodus. In January, 1852, Higley joined a surveying party engaged in work for the Untied States Surveyor General’s Office, and remained in that position until April, 1853, when he was elected County Surveyor of Alameda County. In 1855, Higley was re elected to that position, and in September, 1857, he was elected Surveyor General of California. Throughout his tenure as Alameda County Surveyor, Higley was apparently also employed by the United States Surveyor General’s Office in San Francisco in various capacities. He is known to have been both a Deputy Surveyor General and a Clerk in that office. Between 1854 and 1857, several maps based upon his surveys were published and indicate Higley was both the Alameda County Surveyor and a Deputy Surveyor General for California. Higley was extremely active in attempting to settle the question of California’s external boundaries. He participated personally in the survey of the eastern boundary with Nevada, as well as that of the California Arizona boundary conducted by the United States Surveyor General’s Office. James Franklin Houghton was born on December 1, 1827, in Cambridge, Massachusetts. He received a B. S. degree in Civil Engineering from Renssalaer Polytechnic Institute at Troy, New York. At that time he returned to Waltham and took employment as an engineer. He also pursued advanced mathematical studies at Harvard under a professor eminent in that field. During this period, Houghton worked as Superintending Engineer on the construction of a portion of the Boston water system. After working in a Boston mercantile firm and founding a lumber firm in California, Houghton was elected Surveyor General of California in 1862 and turned his attention to those duties. In 1868, upon the expiration of his third term in that office, Houghton returned to an active business life and once again turned his attention to a new field of commerce, the rapidly expanding field of insurance. It is clear that Houghton was largely responsible for both the construction and final passage of a law which corrected many existing title difficulties in California. An enormous amount of patience and endurance – as well as a wide knowledge of previous law and current land practices in California – were required on Houghton’s part. Thus, despite the less honorable deeds he was actively engaged in at that time and in years to come, Houghton’s contribution to the stability and credibility of State title to its lands is noteworthy. In 1887, Houghton became President of the San Francisco Dock Company, and in 1889 was elected to the Board of Regents of the University of California. In addition, during the 1880’s he became President of the Central Land Company, headquartered in Oakland, and was deeply involved in the purchase and sale of government lands in California. Houghton died on February 2, 1903, in San Francisco, survived by his widow and three of his children. John W. Bost was born in Cabarus County, North Carolina in 1834 and emigrated to California from Mississippi in 1850, at the age of 16. He traveled to Calaveras County, working as a miner until he left for the Bay Area and began working as a surveyor and civil engineer, although it is unlikely he ever received formal education in these professions. In 1867, he was nominated for the Surveyor Generalship of the State, and following a successful campaign assumed that office in 1868. Re-elected in 1870, Bost ran for a third term in 1871 but was defeated by Robert Gardner. While Surveyor General, Bost served as ex-officio member of the Board of Tidelands Commissioners along with Governor Henry Haight and State Controller Robert Watt. In 1874, Bost ran unsuccessfully for San Francisco Harbor Commissioner, and in 1878, he was once again elected County Surveyor for Merced County. 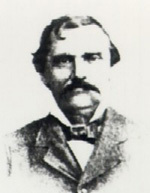 Bost also served as a member of the State Assembly for Merced and Mariposa Counties during the 24th session of the Legislature in 1879-80, and again from 1884 to 1886. Nothing is known of his later life apart from the fact he died in Modesto on January 5, 1893. Robert Gardner, perhaps the most controversial of all the Surveyors General of California, was born March 17, 1841 in Fall River, Massachusetts.Following his arrival in San Francisco in 1858, he settled in Knight’s Landing, where he maintained his permanent residence until his election to the Surveyor Generalship in 1872. Gardner’s background and education are unknown. Whatever his background, however, it is practically certain that Gardner, unlike any of his predecessors, had little – if any – knowledge of or experience in the fields of surveying or civil engineering. In December, 1876, following a more careful auditing of those records of Gardner’s office which could be located, the Attorney General of California brought suit against Gardner on behalf of the State for recovery of $42,215 in missing fees. Following his term of office, Gardner and his family moved to Oakland, where he lived for the remainder of his life. During these years Gardner worked in the field of real estate and may have practiced land law before the Department of the Interior. Despite the adverse notoriety he suffered following his term of office as Surveyor General, Gardner maintained some political ambition. It is interesting to note that he again ran for Surveyor General in 1886, but lost to Theodore Reichert. 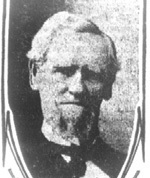 Gardner died in Oakland on April 22, 1907. William Minis was born March 7, 1819 in Beaver County, Pennsylvania and spent his early years on the family farm. Minis received his early education in a neighborhood log schoolhouse, but due to the isolated location of the farm, his formal education was apparently limited. In 1847 the Gold Rush brought Minis across the country to California, where he finally settled on land near Putah Creek in Yolo County. In 1876, at the age of 56, Minis became Surveyor General of California. Minis presided over the office during a difficult period in its history, when his predecessor, Robert Gardner, was pursued through the courts on legal charges of absconding with funds belonging to the Surveyor General’s Office and the State Lands Office. In 1878, Minis was re-elected to the Surveyor Generalship. From 1880-1886, Minis owned and operated a store in Woodland and lived quietly in that town with his family. In 1886, he resumed public office when he was elected Treasurer of Yolo County. He was re-elected in 1888 and 1892 and served the County until 1894 when, at the age of 71, he retired from public life. James W. Shanklin was born on August 5, 1824 in Ontario County, New York. The first years of his life were spent on the family farm, and like his predecessor William Minis, his opportunities for education were limited. In 1849 the Gold Rush brought Shanklin to California, where he finally settled in Oakland. 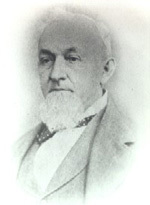 In 1864, Shanklin served in his first public office when Abraham Lincoln appointed him Receiver of the United States Land Office in San Francisco. Upon the expiration of that term, Shanklin was appointed Register of the Land Office. With regard to occupation, Shanklin apparently moved through several professions over the years. For instance, the 1871-72 Alameda County Directory noted his profession as land agent. In 1875-76, he is listed as an attorney at law, and in 1878-79 he became a land agent once again. During the 1890’s, Shanklin listed himself simply as a capitalist. 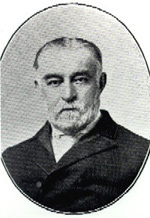 In 1879, Shanklin was elected Surveyor General of California, and took office on January 5, 1880, at the age of 56. A matter in which he was deeply interested following his term as Surveyor General was the claim of the State of California against the Federal Government for assistance furnished during the Civil War. Shanklin was one of the commissioners appointed by the Legislature to place California’s claims before Congress and urge settlement of the situation. Shanklin died in Oakland on February 28, 1902, at the age of 88. Henry Ide Willey is a unique figure in that he was the first Surveyor General actually born in the State he later served. Son of the noted educator Dr. Samuel H. Willey, founder of the college of California and the first President of the University of California, Henry Willey was born July 2, 1850 in Monterey and is believed to be one of the first American children born in California. It is not unlikely that Willey received tutoring at home during his early years, as few school existed in California during the period of the 1850’s. Although little is known of Willey’s life until the age of 25, he apparently received higher education in Mexico, where he both studied and was employed in the civil engineering field. Between 1880-1883, Willey resided in San Diego County and worked as a civil engineer, although it is not known where he was employed. In 1882, Willey was elected Surveyor General of the State of California. He was re-elected to that office in 1884. Willey’s term of office may be characterized primarily as a caretaker administration. While no particular scandal or rumor of improper conduct occurred in the press during the years of Willey’s administration, one is struck with the feeling in reading Willey’s Reports that he was out of his depth in attempting to cope with his elective responsibilities. In vivid contrast to the reported accomplishments of such Surveyors General as Marlette, Houghton, and Minis, Willey exhibits no particular feeling for the office and little understanding of the ramifications of his numerous tasks. 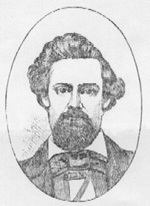 Following his term of office, Willey left Sacramento for San Francisco, where he advertised and was employed as a consulting civil engineer. In 1893, however, Willey was appointed a Deputy Bank Commissioner by the Board of Bank Commissioners with jurisdiction over the property and assets of the People’s Home Savings Bank. It is interesting to note he continued advertising as a consulting engineer until 1897. At that time, Willey apparently moved to the East for his obituary noted that prior to his return to California in 1913, he had been headquartered in New York. Willey died on October 11, 1913, in Berkeley, California. He was survived by his son, and surprisingly, by his Father as well. 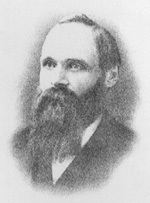 Theodore Reichert, a native of Ohio, was born in 1839. While no facts concerning his background or education are known, it is fairly apparent that any formal education, he may have received was not in a professional field; however his written reports and extant letters indicate either some higher education or keen natural ability. Arriving in California in 1858, Reichert settled in Sacramento, where he opened his own business in the field of grain commissions. Between 1863 and 1867, he returned East and traveled for a year, working as a grocer. Reichert returned to the Pacific Coast in 1868 and settled in White Pine, Nevada until 1869, when he apparently received an appointment in the United States Surveyor General’s office in San Francisco. 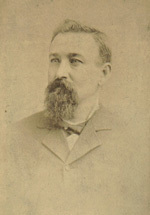 In 1886, Reichert was elected Surveyor General of California and re-elected to that position in 1888, 1890 and 1892. Throughout his tenure as Surveyor General, Reichert grappled with the problem of delinquent interest on state lands. Echoing this complaint in each Biennial Report he wrote, and importuned the Legislature to amend the law to make appropriate provision for payment of costs in foreclosure suits. The Legislature, as usual, apparently took no heed of the Surveyor General’s requests. 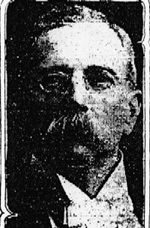 Reichert returned to San Francisco in 1894 and was employed in private business in there until his death on July 10, 1910. Martin Jeremiah Wright was born in Killingworth, Connecticut on October 26, 1829. Nothing is known at this time of his background or education. In 1860, Wright and his family returned to California and settled in Vallejo, Solano County, they lived for many years. Wright engaged in some farming and also ran a store between 1867 and 1888. From approximately 1889-1893, Wright served the United States Land Office in Visalia. In 1894, his years of activity in the Republican Party were apparently rewarded by his nomination to the office of State Surveyor General, he was 65 years of age at the time of his first election, the oldest man to hold the position. He was subsequently re-elected in 1896, 1898 and 1900. From careful scrutiny of the Biennial Reports of the Surveyor General between 1892 and 1902, it is apparent that few of the duties originally mandated to that position by the Legislature in 1850 remain to be accomplished. In 1850, the Surveyor General was responsible for numerous tasks badly needed in a new state, where neither the borders of the State nor the counties were known, and where large portions of its area were totally unexplored. By 1890, these duties had been accomplished and no new tasks with the exception of the licensing of surveyors in the State had been assigned to fill the void. In 1902, at the age of 73, Wright retired from public office, and moved to San Francisco. In 1903, Wright suffered a stroke which left him paralyzed. Although he lived another six years, he succumbed to the effects of a second stroke on November 25, 1909. Victor Hugo Woods was born February 13, 1868, in Signourney, Iowa. In 1873 the family moved to Mayfield, Santa Clara County and Woods began his education in the public schools. In 1883, he graduated from Mission High School in San Francisco. In 1883, at the age of 16, he spent the fall and spring working for the U.S. Corps of Engineers in Wyoming. In 1902, Woods was elected Surveyor General of California and re-elected to that position in 1904. On March 20, 1903, $5,000 was appropriated by the Legislature to furnish the Surveyor General’s office with modern filing cabinets, bookcases and to make other necessary repairs. Woods’ account of the manner in which the appropriation was spent gives the first tangible evidence of the appearance of the two offices as well as the size of the State lands records at the turn of the century. Woods died in San Francisco on June 10, 1947. William Stephen Kingsbury was born August 3, 1870, in Oakland, California. At the age of 10, his family moved to Los Angeles, and Kingsbury received his early education there. Apparently his father was a man of some means, for Kingsbury was trained as a surveyor and civil engineer under a private tutor, rather than by attending a college or university. Upon completion of his education, Kingsbury went into private practice for six months as a consulting engineer, but soon thereafter was appointed Deputy City Engineer for the City of Los Angeles. 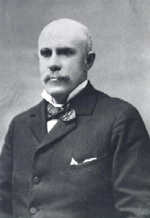 Kingsbury remained in that office for 12 years, and gradually progressed to the position of Chief Deputy City Engineer. In 1905, he was appointed Acting City Engineer, a position he held at the time of his first election to the office of Surveyor General of California. 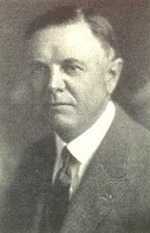 Kingsbury served as California’s Surveyor General from 1906-1929, and was re-elected to that office 11 consecutive terms. In 1929, the Office of the Surveyor General and the State Lands Office were consolidated under the title of the Bureau of State Lands within the organization of the Department of Finance. A. R. Heron, State Director of Finance at that time, requested Kingsbury remain as Chief of the newly-created Bureau, despite Kingsbury’s public announcement of retirement. Kingsbury acceded to Heron’s request, and remained with the Bureau of State Lands until 1934. On February 20, 1943, Kingsbury drowned in his bathtub. Because of the unknown cause of death, an autopsy was performed. This circumstance apparently muzzled all publication of his death, for no obituary or other notice has been located in any newspaper in the State, despite Kingsbury’s many years of political and social prominence.